Researcher Alberto Esteban-González has developed a method for measuring the soundproofing performance of building materials by means of small samples, thus reducing costs and resources. The building sector has a huge environmental impact, and concrete, in particular, is a product that needs tremendous quantities of raw materials which are currently obtained from quarries, with the huge impact this entails. Yet the steel industry has a considerable weight in the economy of the Basque Autonomous Community and generates large quantities of waste materials which frequently end up in landfills. “The trend is that these materials that are generated should no longer be regarded as waste materials and should be used as raw materials to obtain other products,” said Alberto Esteban, researcher in the UPV/EHU’s Department of Mining and Metallurgical Engineering and Materials Science. “This research seeks to contribute toward knowledge and improve the sound insulation of materials intended for the building sector by incorporating industrial waste, in particular steel works slag,” explained Alberto Esteban. “First, a new method has been developed to measure the soundproofing in small samples of materials,” said the UPV/EHU researcher. “Right now, soundproofing tests are conducted using prototypes of 10m2 or with larger surface areas; this is a big constraint on the conducting of tests due not only to the difficulty in producing the volume of material that this involves but also to the actual economic cost associated with them,” added Esteban. The scale acoustic transmission chambers developed in this work considerably simplify and reduce the cost in the running of these tests, achieving results comparable with those of existing laboratories but using smaller test samples. With the finely tuned, validated scale laboratory, the soundproofing performance of concrete plus steel aggregates and other industrial waste products to substitute natural quarry aggregates was assessed. The soundproofing performance of gypsum plus steelmaking aggregates as partial substitutes for gypsum and plaster were also evaluated. 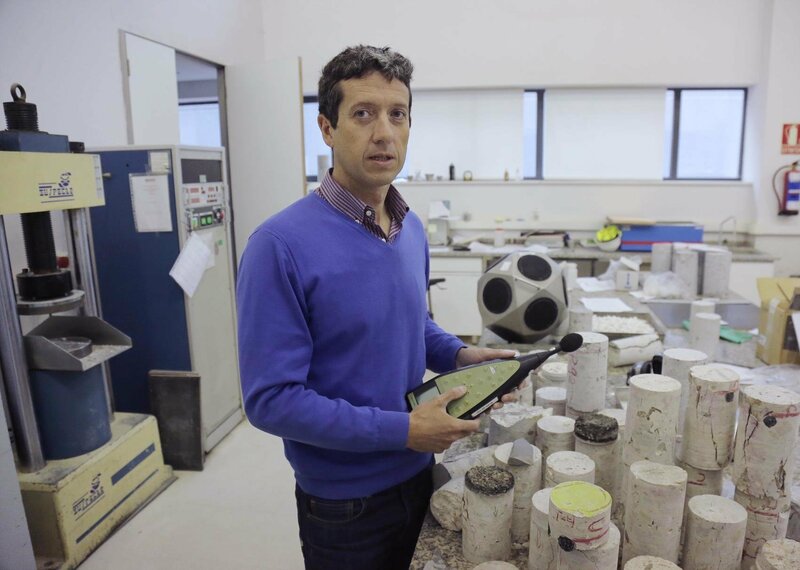 “The results allow us to confirm that the use of aggregates from electric arc furnace slag in concrete without actually achieving a clear improvement over the natural ones despite their greater density, do in fact achieve sufficient soundproofing performance that allows them to be used for construction purposes in line with current and future sound-proofing standards,” said Alberto Esteban.